First-year James Kelly swings at a pitch. 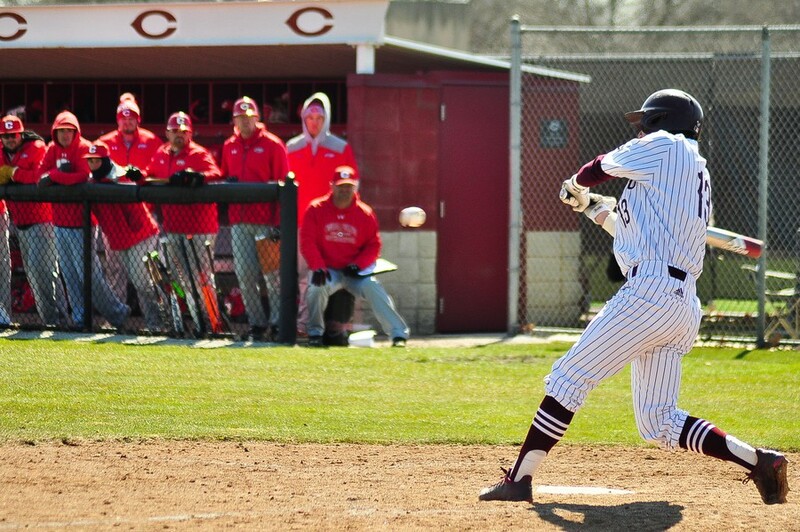 The University of Chicago baseball team had an outstanding set of games this past week, including wins against Beloit College, Central Iowa University, and the Illinois Institute of Technology. The Maroons are looking to continue their four-game winning streak and strong play this upcoming weekend on their home field. The squad will take on the Lions of Finlandia University on Friday, April 13 at 1 p.m. and 4 p.m., and Saturday, April 14 at 12 p.m. and 3 p.m. With some nice weather finally underway, the Maroons are in for a fun and exciting weekend. The Lions have had a rough season thus far, with an overall record of 4–12 compared to the Maroons’ 13–7 record. The Maroons are not overlooking them, though, and are working hard in practice every day. Come out and support the Maroons this weekend, beginning at 1 p.m. on Friday, to see if they are able to continue their winning streak and reign victorious over the Finlandia Lions.